Viroban MedPet, A megavitamin combination as an aid in the treatment and prevention of viral diseases. - An aid in the treatment of viral diseases. - Prevention of viral diseases. - To stimulate the immune system. 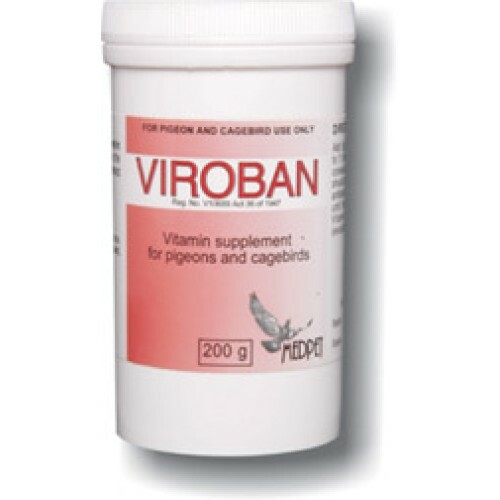 - Unique formulation obtained from a leading avian virologist in Europe. - Add 5g (1 level measure (included)) to 1 litre of drinking water for 7 consecutive days. - Administration should start directly after an antibiotic course and may continue until the day before basketing.